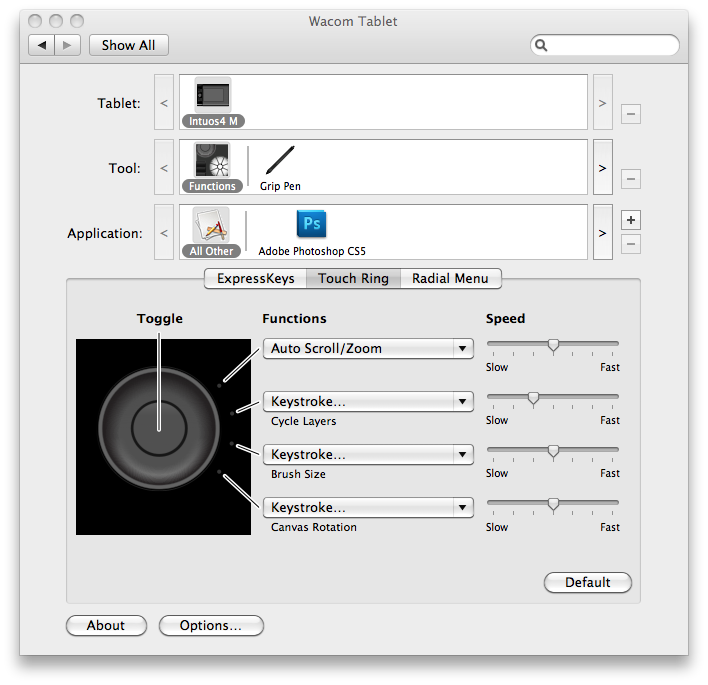 Using Apple Zoom with your Wacom Intuos4 Toggle Ring. 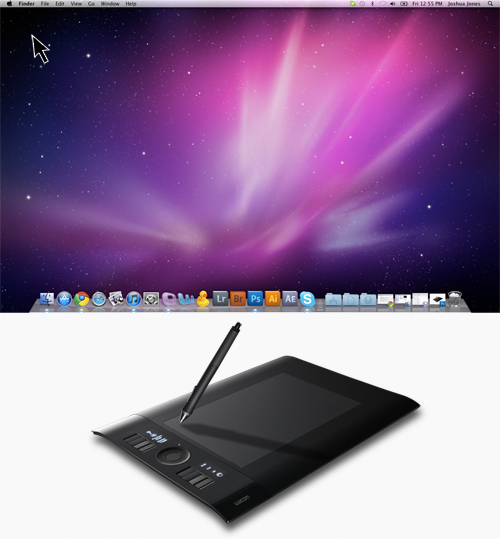 One of the very few frustrations I faced when unplugging my mouse from my mac and having only my Intuos4 on my desk was the fact that I didn’t have the Apple Zoom (control + scroll up and down on the mousewheel or ⌘⌥= (Zoom In) ⌘⌥- (Zoom out) function at my finger tips. I jumped into my google machine and found nothing to help me. 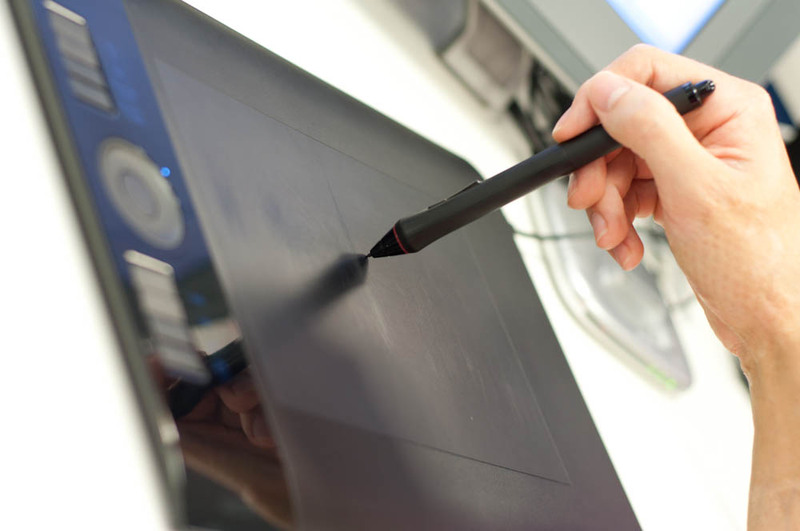 I couldn’t figure it out until I asked one of the knowledgable guys at Wacom if he thought it was possible. Well, yes it is. Lets have a look at how we do it. 1. 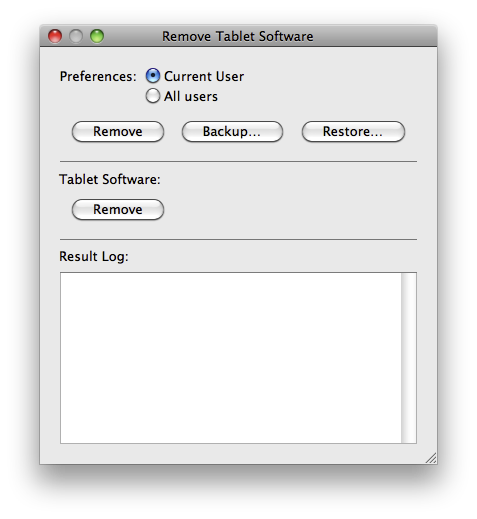 Jump into your system preferences and then choose Universal Access. 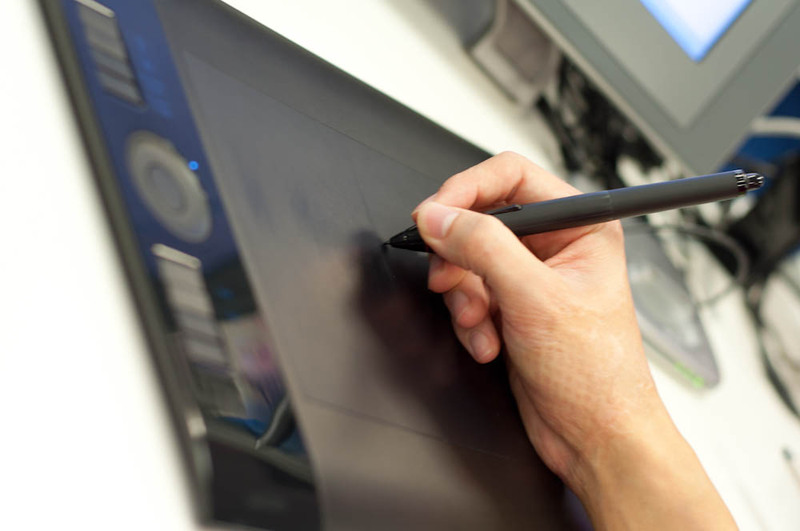 Now we’ll need you to turn Zoom off for now. 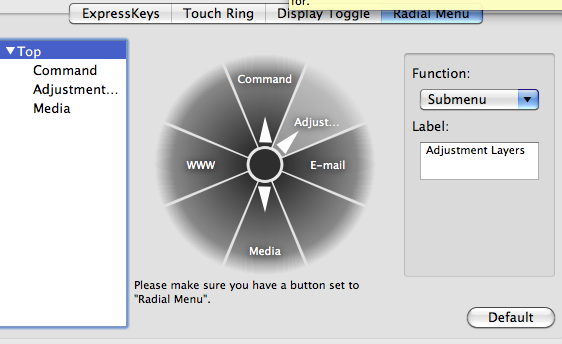 The reason for this is that when we try to assign the keystrokes to our toggle ring it activates the zoom function and does not register as keystrokes. 2. 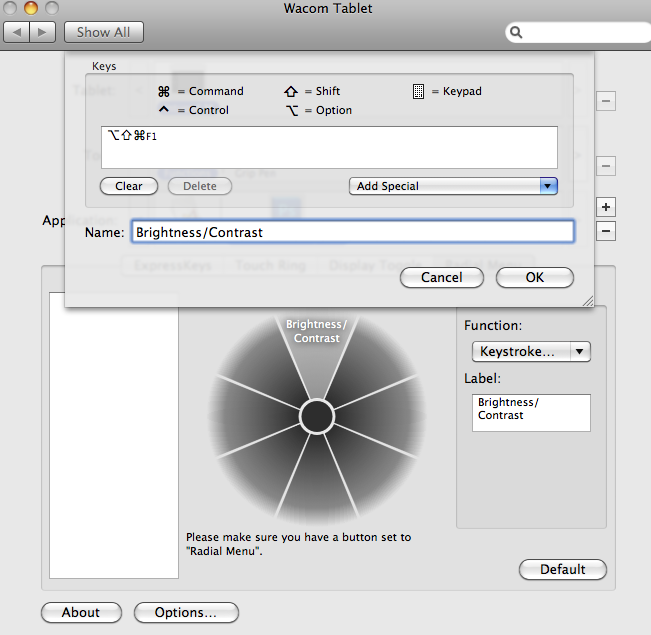 Go back to the main window of the system preferences and now click on the Wacom Tablet Icon. 3. 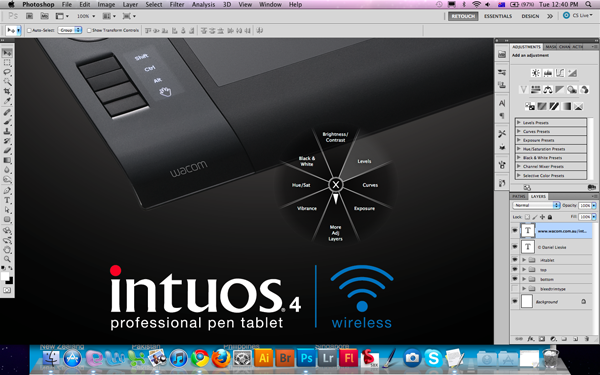 Choose your Tablet: “Intuos4” your Tool: “Functions” and your Application: will be “All Other” and finally make sure you select “Touch Ring”. 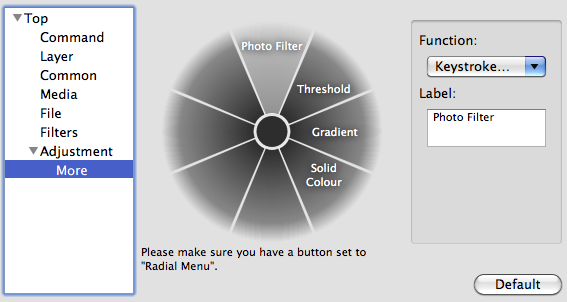 I’m going at assign the Apple Zoom function to the second toggle ring option which by default is set to “Cycle Layers”. 5. 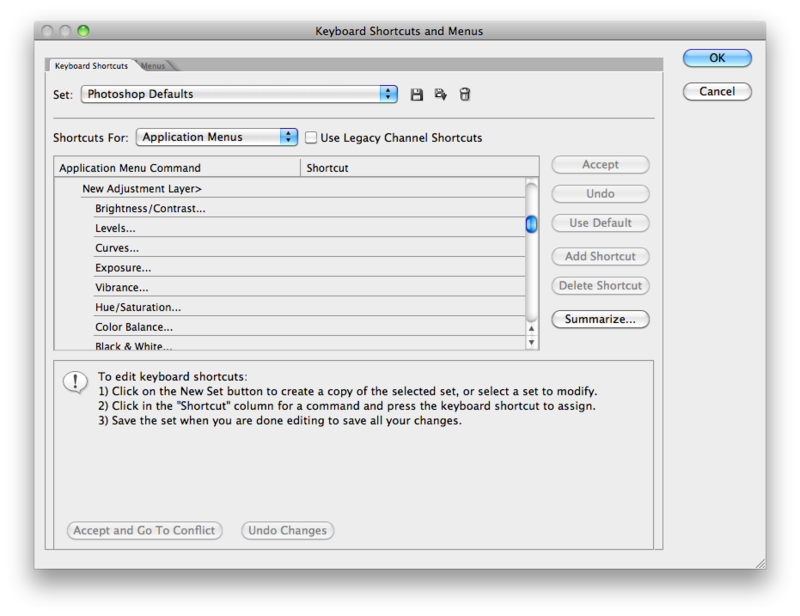 Select each window and hit “Clear” to remove the current keystrokes. In the top window hit the keys ⌘⌥= and in the bottom window hit ⌘⌥- Now name the function “Apple Zoom” and click OK.
6. 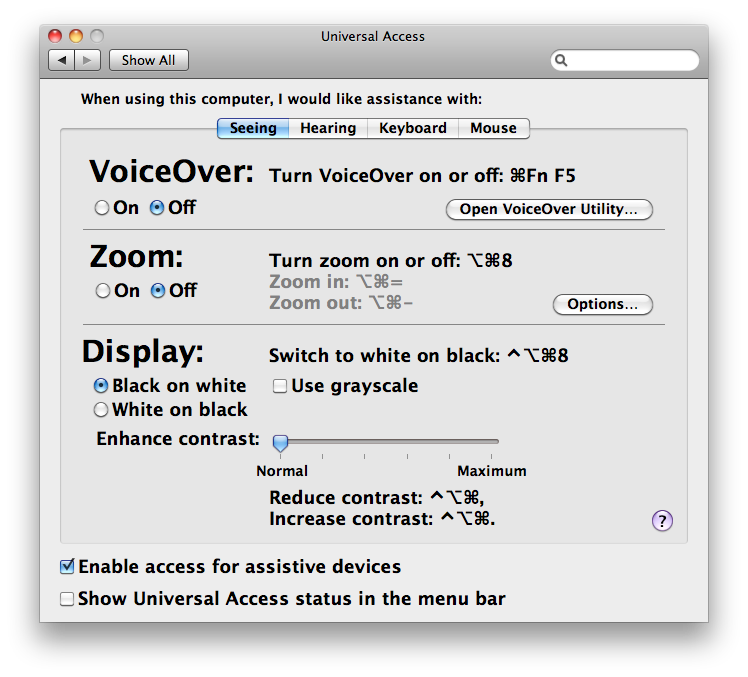 Now go back to the Universal Access options from the system preferences and turn Zoom: back on. That’s it! You’re done. Now when ever you’re in an application that does not have that particular function of your toggle ring assigned to something else you can use your Apple Zoom. 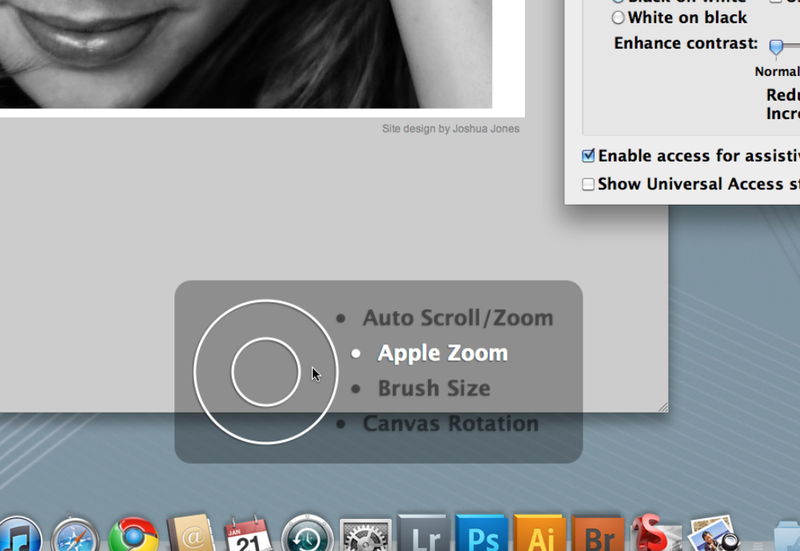 So, touch the center of your toggle ring to get to the Apple Zoom function and scroll away! The above technique applies to changing any of the functions on your toggle ring to anything else you like. 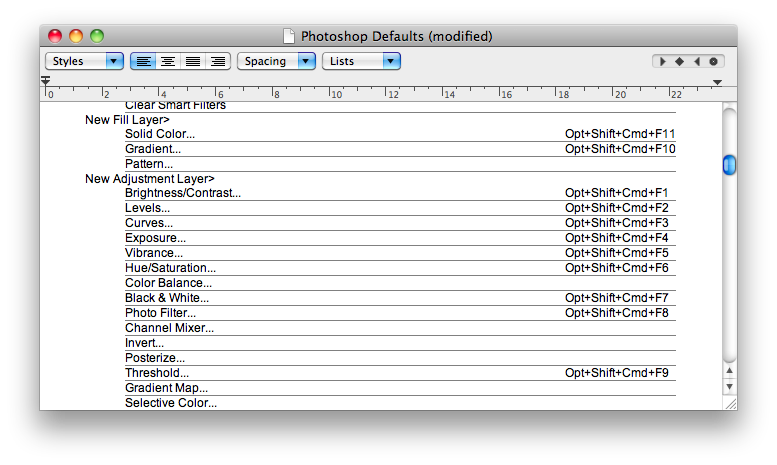 For example, Inside Photoshop I set the same function we just set to something different. 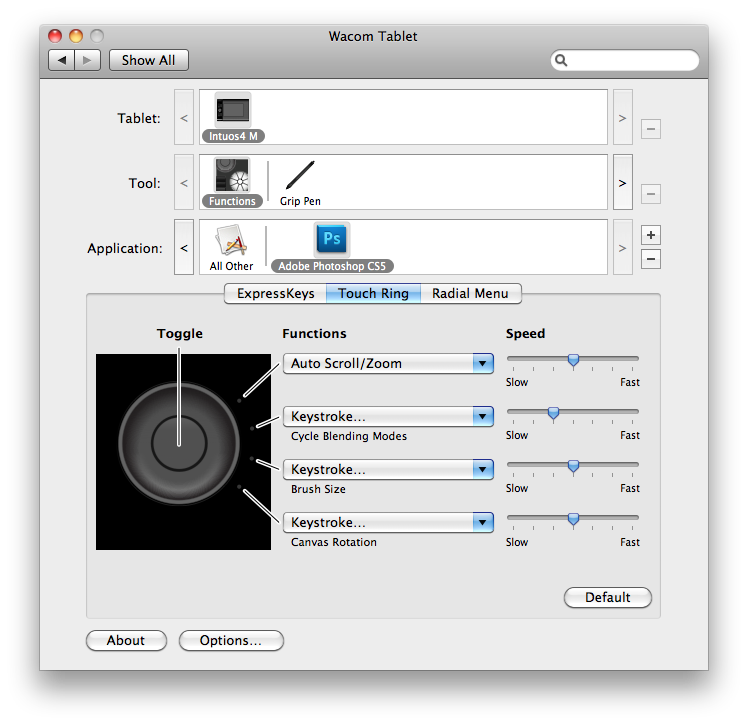 I set it to Cycle Blending Modes as I would always zoom with Photoshop and not the Apple Zoom. 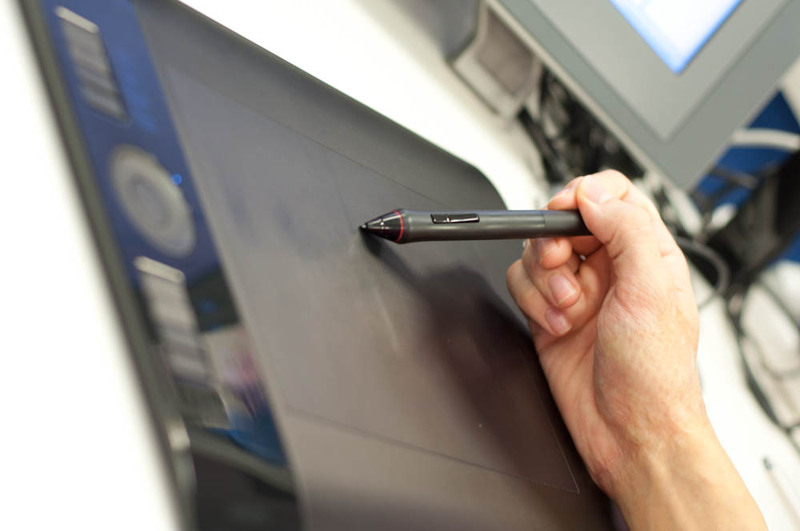 If you want to do this, repeat the above steps but make sure when you choose Application you choose Adobe Photoshop (You may have to add it if it isn’t there, just hit the “+” key and add it.) 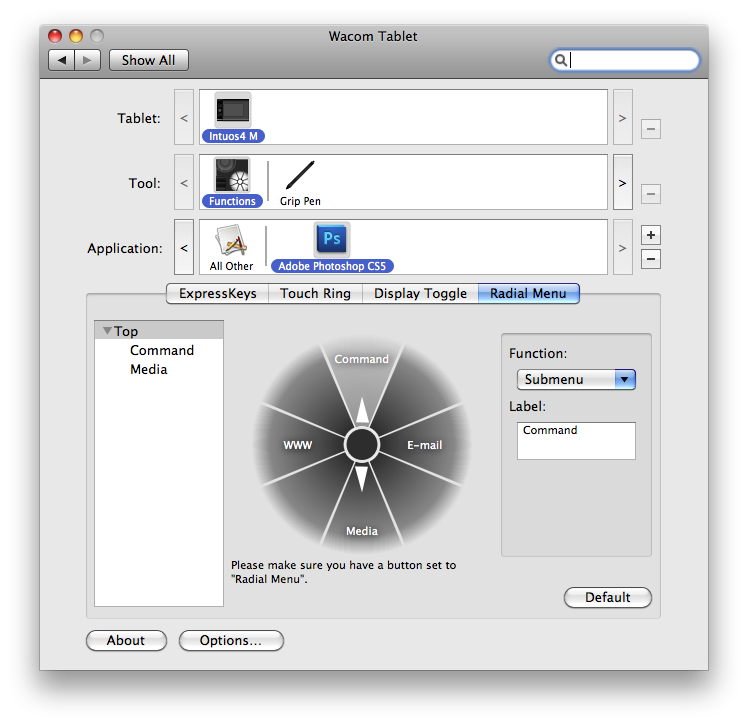 Now just assign ⌥⇧= and ⌥⇧- as your keystrokes and name it “Cycle Blending Modes” . 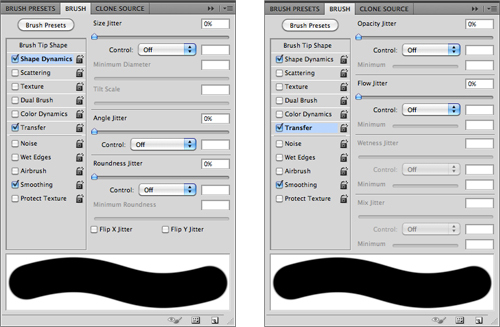 This is a great way for me to quickly preview how the layer looks with different blending modes. 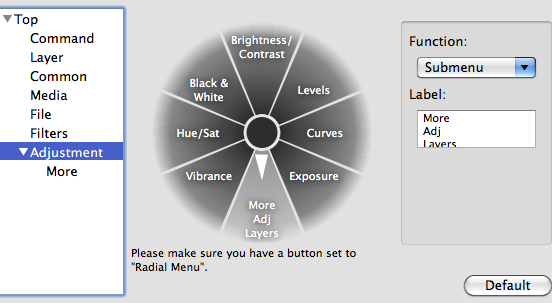 Now, whenever you’re in photoshop that same function of the toggle ring will cycle your blending modes instead of activating the Apple Zoom.